Here they are, some of the finest personal listening products available: great sounding headphones from only $79, and dedicated headphone amps to enhance their performance. You’ll even find a list of our favorite headphone models, all of which are shown in starred photos. We’ve also provided background details on the five premier headphone manufacturers featured in this Guide, and answers to frequently asked questions. We invite you to peruse this page then visit our store, where you can try on units for comfort and savor their sound in a dedicated headphone listening area. Click the links below to navigate this page quickly, or simply scroll. Bowers & Wilkins speakers are as prominent in the world’s top recording studios as they are in the homes of passionate music listeners. They’ve long been standard equipment in London’s Abbey Road Studios, where they’ve monitored sessions with groups ranging from The Beatles to U2, and they’re employed in California’s Skywalker Sound studios, a source of memorable cinema soundtracks. 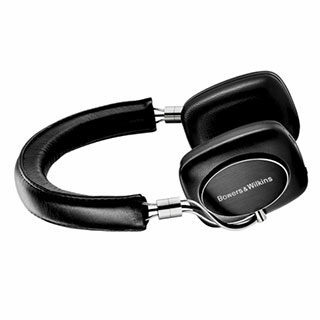 Bowers & Wilkins was the first company to utilize computers for loudspeaker design and analysis, and its technological prowess enhances its headphones as well as its speakers. We especially like the P5 Wireless, which surrounds the ear to eliminate ambient noise while delivering natural, detailed sound. Swiveling ear cups let you flatten the headphone so it packs easily, and you can listen for up to 17 hours between battery charges. 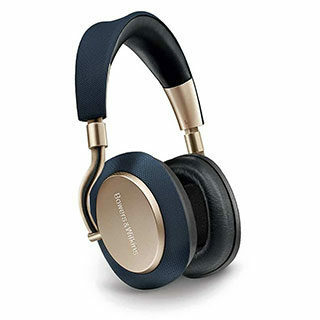 The $300 Bowers & Wilkins P5 Wireless (in the starred photo below, with the PX Wireless, in gold, to its right) is a Lyric favorite because it combines the stellar performance of the wired P5 with Bluetooth and aptX circuitry. AptX permits high resolution audio files to pass through a wireless pipeline with no sonic sacrifice. 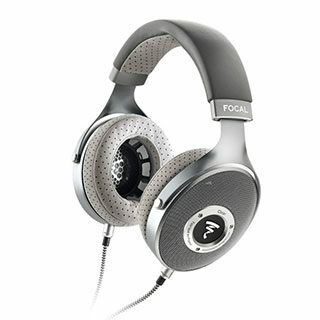 Two Focal headphones have earned the Lyric favorite distinction, the Clear (below left) and the Utopia (below right). We invite you to audition them, and the $999 Elear, to discover how comfortable they are and just how lifelike they make your music sound. Joseph Grado was one of a visionary group of American hi-fi pioneers and a gifted amateur opera singer whose abiding love of music invariably infused his products. 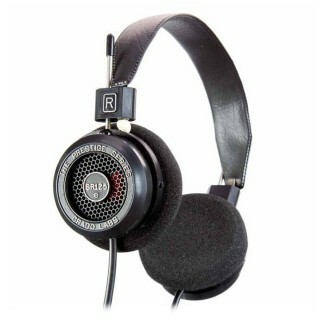 He founded Grado Labs in 1953 in the New York City borough of Brooklyn, where the firm, still in his family, remains. While tradition extends to the styling of Grado headphones, current models depart from their predecessors in all other respects and perform to the highest standards of present-day audio. Grado labors over details that most other headphone makers overlook, using glue that adds strength while lowering mass, and a wood curing method that helps keep the firm’s mahogany ear cups free of sonic coloration. 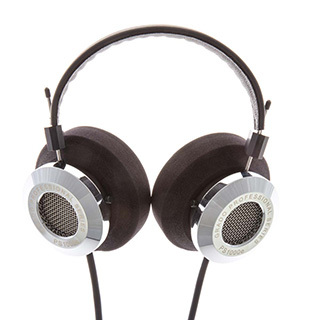 Grado headphones, which start at just $79, are true classics that are truly contemporary. We consider Grado’s SR-125e (below in the starred photo, with the Grado PS1000e to its right) the industry’s best value-priced headphone. This Lyric favorite is just $150. Master & Dynamic may not have been founded had its CEO not built a music studio for his teenage children. Combining knowledge gleaned from that experience with a passion for industrial design, he went on to create an unusually sophisticated headphone line that combines sonic virtues with looks that evoke Scandinavian style — a Scandinavian designer helped develop it. 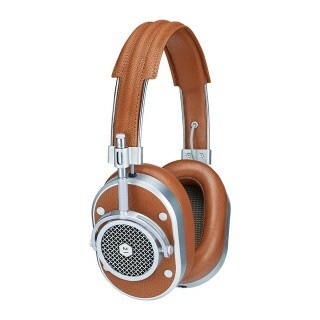 Carefully constructed of materials that include cowhide, lambskin, forged aluminum, and stainless steel, with component parts specifically designed for easy replacement, Master & Dynamic headphones are built for the long haul. They’re products of a company that believes a headphone should be both a high performance instrument and a handsome fashion accessory, a prized possession you can listen through with pleasure and wear with pride. The over-the-ear Master & Dynamic MH40 is a happy combination of sound and style that comes in tempting finishes. A Lyric favorite, it’s shown below in blue and in tan. The cost is $399. Based in Germany, Sennheiser is the grandfather of headphone firms. 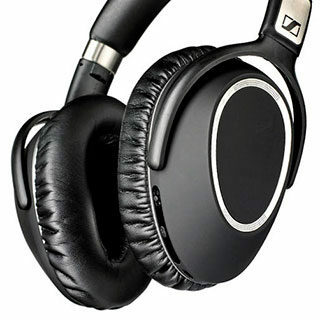 It was founded in 1945 by Dr. Fritz Sennheiser and is now headed by two of his grandsons. While also producing items ranging from headsets for aircraft pilots to assistive-listening products for the hearing-impaired, Sennheiser is best known for its innovative microphones and headphones, including the world’s first open headphone. Its engineers have consistently pushed ahead in the fields of recording and music listening, and the company’s expertise in the latter area is clearly discernible in the sound of its PXC 550. We think the 550 is the world’s finest-sounding noise cancellation headphone. With a battery that provides up to 30 listening hours between charges, it suits intercontinental travelers and urban commuters alike. The $349 Sennheiser PXC 550 (see two views below) is a Lyric favorite that combines active noise cancellation with audiophile-grade sound. Wire it to your music source or use it in wireless Bluetooth mode. 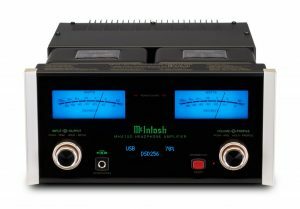 Back in 1949, Audio Engineering magazine introduced America to the first McIntosh product, an amplifier “of unusual capabilities, incorporating a completely new design.” McIntosh quickly became an unstoppable force in hi-fi amplification, and the popularity of headphones has led the firm to apply its expertise to dedicated headphone amps. The MHA150 is the newest of these, a spectacular component with an onboard D-to-A converter that supports both DSD and DXD. Proprietary McIntosh technologies include Autoformer, which is used in the company’s large mono and stereo amplifiers, and here provides impedance ranges that will make every headphone you’re likely to use perform optimally. McIntosh’s MCT input, also incorporated, offers a secure DSD connection for playback of SACDs. For linking digital devices, both an optical and coaxial input are included, along with the MCT450’s USB and MCT inputs, and there are two analog inputs. The easily defeated McIntosh Headphone Crossfeed Director adds realistic dimensionality while patented McIntosh Power Guard technology prevents clipping that could damage headphones. In addition, users can tailor low-frequency reproduction to their taste with a 5-step bass-boost control. As powerful as it is versatile, the 50-watt MHA150 will easily drive a pair of desktop or bookshelf speakers via its stereo speaker outputs. $4,500. 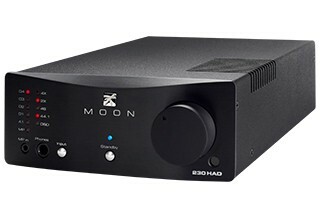 Excellence across the board, a Simaudio imperative for three and a half decades, has resulted in the prodigious performance and operational simplicity of these MOON Neo headphone amplifiers. The 230HA combines a headphone amp, DAC, and line stage preamp, and also features an inboard DSD 256/32-bit PCM capable digital-to-analog converter. It’s compatible with digital sources ranging from smartphones, tablets and computers to satellite TV receivers and Blu-Ray players, and it delivers all the fidelity audiophiles demand of their principal music systems. The 430HA incorporates advancements pioneered in more expensive MOON Evolution components. 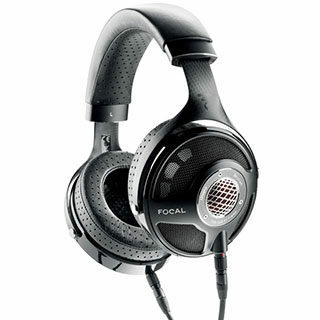 It’s packed with cutting-edge technologies: an output stage with discrete transconductance circuit topology; selectable gain setting; oversized power supply; and a readily defeated analog crossfeed circuit that optimizes the spatial aspects of music heard through headphones while minimizing listening fatigue. 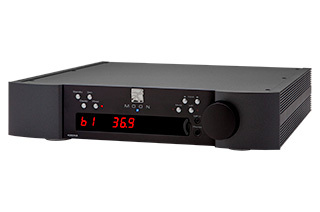 The 430HA is available with or without a D/A converter; customers who choose that option get a factory-installed DAC that supports DSD256 and 32-bit PCM while providing compatibility with just about any digital source. Both the 230HA and 430HA are crafted in Canada and covered by Simaudio’s 10-year warranty. The 230HA sells for $1,500 while the 430HA costs $3,500 without the optional DAC and $4,300 with it. NAD (an acronym for New Acoustic Dimension) was founded by a group of audio-industry veterans in 1972, when manufacturers were stuffing their components with unnecessary features that fattened profits. Annoyed by such products, which blunted the point of high fidelity, these iconoclasts went on to blueprint new, slimmed-down components that emphasized performance, value and simplicity. 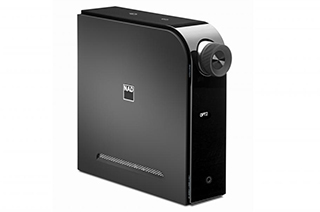 The NAD D 1050 USB DAC, which sells for $500, elegantly reflects that design approach. It combines a fine-sounding D/A converter section with excellent headphone amplification circuitry, and the remote that comes with it makes the unit easy to operate from your favorite listening position. The D 1050 has digital inputs for a variety of sources as well as a special USB input — its asynchronous operation mode uses a built-in high precision clock to control the output of a connected USB device and minimize jitter. The D 1050 supports USB 2.0, allowing 192 kHz signal transmission, and the unit’s top-grade parts help realize its sonic promise. David Farrage, a leading industrial designer whose client list includes Movado and Lamborghini, styled this sleek component, which you can position vertically or horizontally to suit your needs. Where can I use my headphones? Everywhere you listen. Headphones do much more than let people listen on the move. They also make for happy homes when one partner wants to sleep or watch TV while the other enjoys music. Many serious listeners actually prefer headphones to speakers, since good headphones reproduce music with fidelity matched only by much more costly speakers. 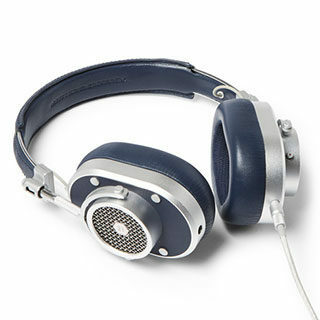 The best headphones deliver astounding musical resolution and detail. What’s the difference between on-ear and over-the ear headphones, and what can open-back models do that closed-back models can’t? On-ear (supra-aural) headphones rest on your ear while over-the-ear (circumaural) models enclose it. If you plan to use a headphone in noisy environments, be sure to audition over-the-ear models, since they isolate wearers from ambient sounds better than on-ear headphones do. 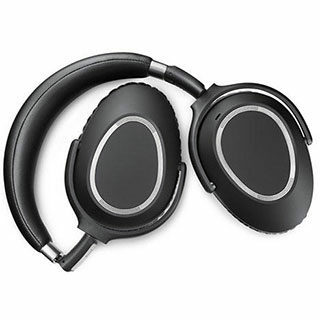 Closed-back headphones have solid, shell-like earpieces while open-back models have openings on their outer surfaces. Those openings allow sound to move outward as well as inward, thereby creating a more spacious effect. Be aware, though, that open-back headphones, as well as providing less noise-isolation, project more sound to people around the wearer. I take my headphones everywhere. Should I look only at the lightest-weight models? Not necessarily, since light weight doesn’t always translate to comfort. Trying on headphones is an important step in the purchase process, and you can do that in a dedicated headphone listening area at our store. Can wireless headphones reproduce true high resolution sound? The best definitely can. Once you audition the wireless models at Lyric, you’re sure to agree. What are headphone amplifiers and how important are they? The best dedicated headphone amps combine high-quality amplifier sections with equally good digital audio converters (DACs), and some include preamp sections as well. The amplifier moves a headphone’s drivers with precision while the DAC converts digitally-encoded music to analog sound waves, which your ears recognize. A headphone amp with a built-in line level preamp lets you assemble a separate music system without purchasing another preamp. When you discover how lifelike the best dedicated headphone amps make music sound, you’ll understand their importance.